Picture this: it’s Saturday afternoon, and you’re relaxing at a café by the beach. As you enjoy lunch, gazing across the vast ocean, you spot something unusual in the water. 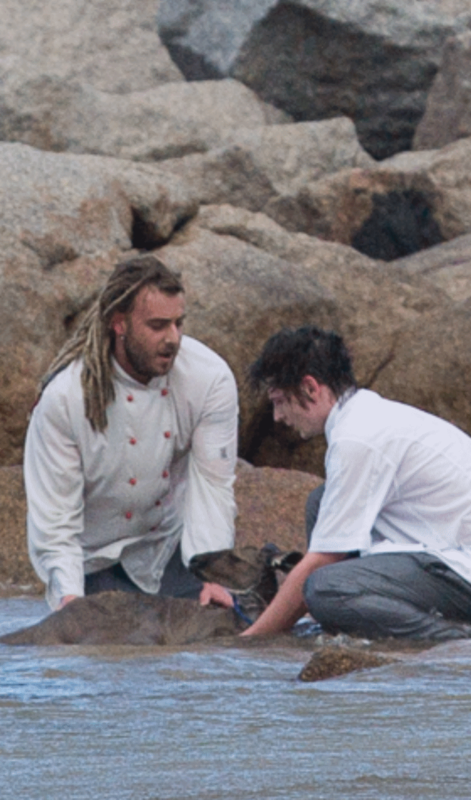 Before your eyes have had a chance to adjust, the café’s two chefs sprint past you and leap into the ocean, fully clothed. Turns out, there’s a kangaroo in the water – and he’s drowning. This was the unusual scene last week in Port Elliot, South Australia, when a kangaroo was caught in the freezing, choppy waters and grew exhausted as he struggled to stay afloat. 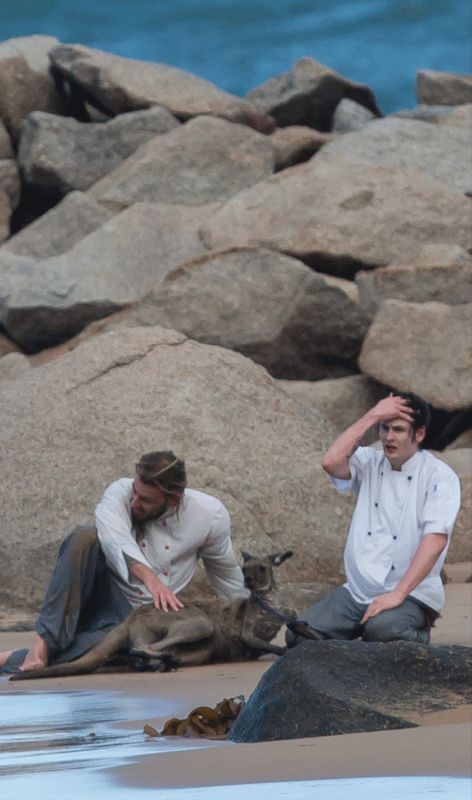 In a rescue effort reminiscent of Hugh Jackman’s heroism at Bondi Beach, local chefs Jeff Della-Mina and Dan Marshall braved the dangerous conditions at Horseshoe Bay and acted quickly to save the distressed kangaroo. Spending 20 minutes in the choppy water, the pair worked to guide the kangaroo back to shore, where he coughed up a large amount of water. Rescue crews took over, wrapping him in a warm blanket and keeping him under observation. Thanks to the efforts of the two young men, the lucky kangaroo ultimately made a full recovery and eventually bounded back into the bush. 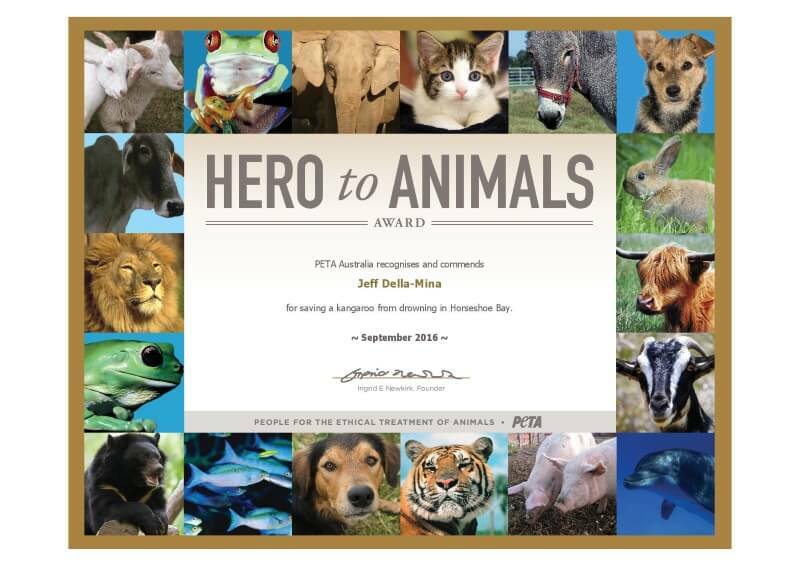 For their bravery, Della-Mina and Marshall have received Hero to Animals Awards from PETA.